My favorite time of year is upon us again, Millennials! The leaves are falling from the trees and the cold is definitely sticking around for the long run. For the past year, I have been slowly upgrading my wardrobe with more “adult” clothes so goodbye (most) of my sweatshirts and leggings, hello skinny jeans and an on-trend fall poncho. But now that the weather is beginning to turn, it is finally time to get a new scarf and gloves to match. And the only place that I could think to find the best of the best is at Naadam. As the world’s first socially conscious luxury cashmere brand, Naadam focuses on sourcing and producing the world’s finest fibers. What I personally love about Naadam is that they are very socially aware. Naadam strives to achieve this while still preserving the values and livelihoods of their herders in the Gobi desert, located in Mongolia. For example, their business model circulates a percentage back to the herders for their livestock’s annual vaccinations. That is awesome! Speaking of livestock, Naadam’s cashmere is sourced from rare white Hircus goats who thrive throughout Mongolia’s extreme weather conditions. The goats grow long and soft undercoats which would explain why Naadam’s cashmere is eight times warmer than sheep’s wool, but it is also a lot lighter. All of Naadam’s cashmere is processed in Italian mills that are centuries old that spin the finest yarns in the world that harness the superior quality of Mongolia’s fibers. These gloves are so soft and not too thick. I love that they do not have a ton of frizz either! The color is perfect for me to wear them with any outfit or coat. This scarf is what dreams are made of! It is softer than what you could ever imagine and it is nice and warm. Like the gloves, this scarf is perfect for any outfit, for any day. I love the Naadam brand! It is a great way to stay warm and fashionable while still being conscious of those around you! Who says that big names don’t care anymore? Give Naadam a try with a brand new promotion that allows 20% off which includes free shipping and returns for all new customers with an email sign up. Happy shopping, Millennials! Find the Chunky Gloves Here! Find the Ribbed Scarf Here! 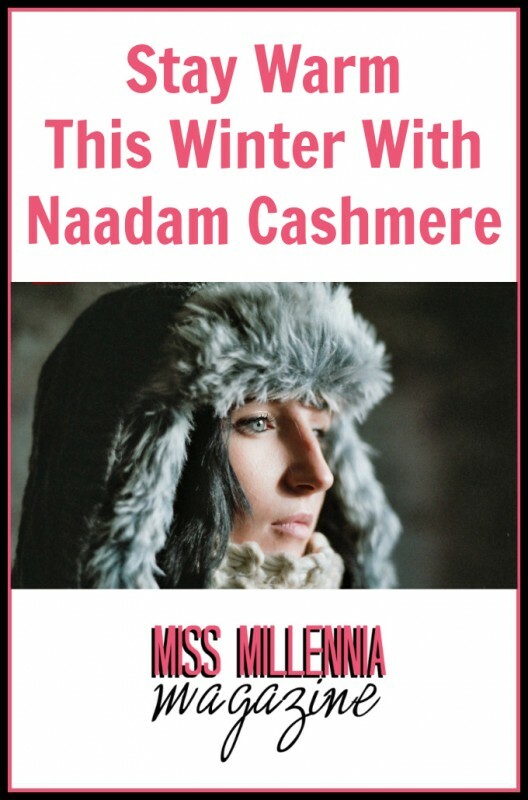 This is a sponsored post on behalf of Naadam Cashmere Luxury Men’s Fashion Brand Products. All opinions are 100% my own. Previous Post: « Are You Drinking Too Much? How To Get Your Drinking Under Control!